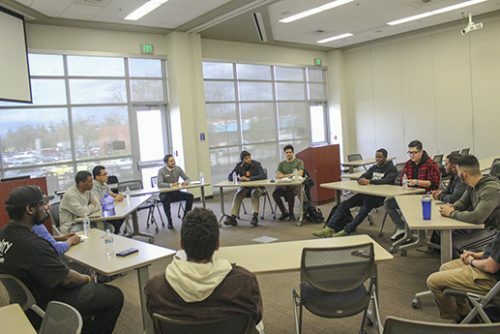 American River College has a variety of diverse groups of men, including some who are looking to change the narrative around young men of color. Brothers Breaking Barriers, a support group that enriches the lives of young men of color, facilitated a workshop on networking Feb. 28, in the community rooms at ARC. The workshop was hosted by Josef Preciado, the Director of California Apprenticeship Initiatives at ARC. Preciado engaged with the students at the workshop to discuss the importance of networking. Before getting into the discussion, students settled down in a circle to create a more comfortable space. Preciado introduced the concept of a “60 second me commercial”: giving a short introduction of yourself in a minute. The goal of the introductions was to generate interest from strangers, facilitate professional interactions, mutual benefits and to create new opportunities for those attending. Moving on to the topic of networking, Preciado explained what networking means to him and the purpose of the workshop. Kelvin Burt, a sociology major and the chair for the Brothers Breaking Barriers workshop, spoke more about the workshop and what the goal is for these kinds of workshops. The next topic focused on informational interviews. The goal of an informational interview is to create a network expansion, explore available resources, career research in finding your specific employer and setting the stage. 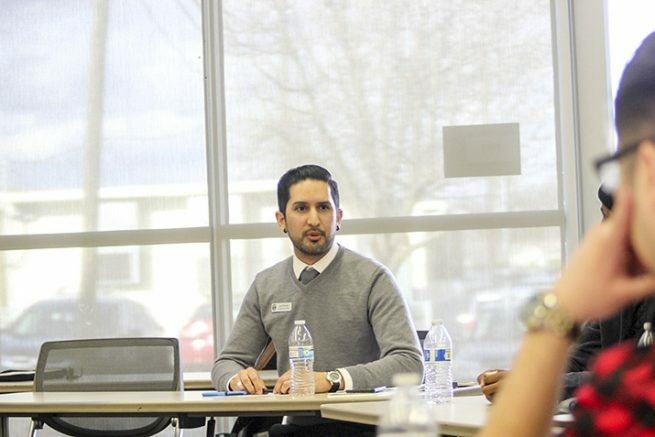 Preciado provided stories about his experiences with networking in his career field and how networking has impacted his career. Preciado shared what he expects participants to get from the workshop. “I’m hoping that someone at this workshop will take a tool they’ve never thought of before, challenge an assumption or expectation that they had and open their visions up to different possibilities,” Preciado said. Denzel Phoenix, a psychology major at ARC, has attended both of the Brothers Breaking Barriers workshops and explained why he enjoys coming to it. “It’s good to see men of all races coming together to get to know each other and seeing past the barriers black men and men of color have been stereotyped, to see them for who they really are,” Phoenix said. Burt says there are plans for another Brothers Breaking Barriers workshop by the end of March. Be the first to comment on "Brothers Breaking Barriers workshop discusses the importance of networking"